How long have you been running your riding outfit? And what was the background, history, reason for starting? 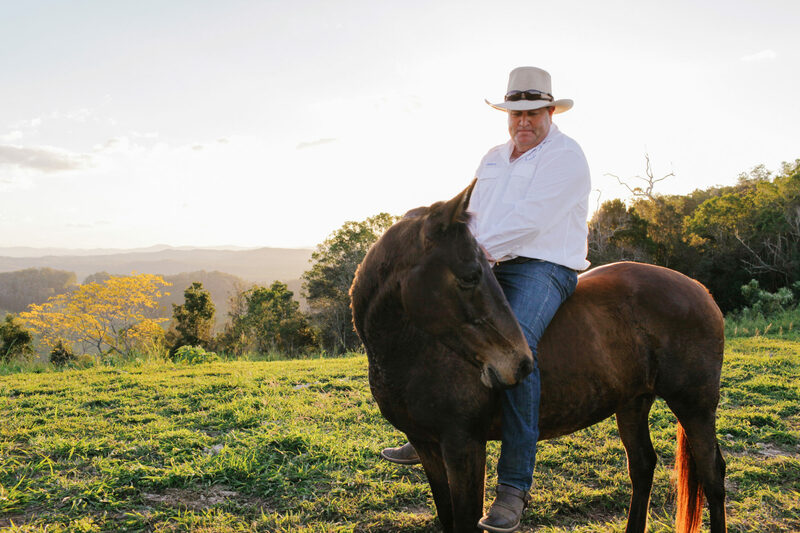 I first started this business at the beginning of 2013 when I returned home to the area after running a cattle station in Western Australia that had about 17,000 head of livestock. I have previously run or managed a horse trail riding business for someone. I also worked in the Victorian High Country for two different operators doing 5 day rides as well as 1 & 2 day rides. I decided to start this business as I felt I had completed my apprenticeship and it was time to bring the kids back home from Western Australia where they did four years of School of the Air, to their extended family (Aunties, Uncles, cousins, Grandparents etc on both sides of the family). How many guest horses do you have? I have about 30 guest horses on the place which we rotate between rides. What is the philosophy or ethos behind your horse riding experiences? To do everything possible to give every guest the best experience humanly possible. That’s simple. I get to ride good, well educated horses every day in good saddles. I love it! I want to keep riding at the end of each day. If I had the time and someone to do it with, I would ride all night! Keeping all of the horses trained to the highest standard. Why should globetrotters sign up for the Goomboorian Campdraft Ride? I don’t think you will get accommodation at a location like the top of our mountain with anyone else. No one else in the world can offer the cattle working experience that we can on our rides. I also think that the comfort and quality of our saddles are as good as any in the world. A tip that every globetrotter must know before signing up for this ride? Our riding style is based on the Australian style of riding where we quite literally trust our horses with our life when mustering in rough terrain at high speed, (I have broken my back twice from horse riding to prove it). There is a reason that we ride the way we do. Everything is based upon experience, whether it be passed down from generation to generation or a new more modern skill gained from today’s increased knowledge of horses. Your hat! You’ve got to have protection. What has been the most memorable or significant moment of your guiding career? It’s hard to reduce that down to pick just one experience. I had a lady from Hollywood who went to a lot of effort to come on one of our beach rides. When she rode onto the beach she started crying. When I later asked how she heard about us, she said that one of her friends from Hollywood told her that if she ever came to Australia, she had to come and ride with us. That guest is part of the Hollywood A-List! I have the best job in the world and love what I do everyday. Keen to join Andrew for some campdrafting and authentic cattle work? Check out our Goomboorian Campdraft Ride here.